Email marketing consists of sending an advertised message through electronic mail to an audience. 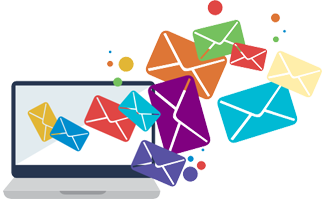 Typically, email marketing performs best when sending consistent messages to your audience between 2 – 4 times a month. 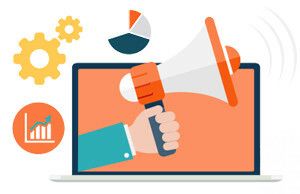 Engaging your customers with interesting content and enticing offers increases the likelihood of developing conversions and transactions to your webpage and/or storefront. 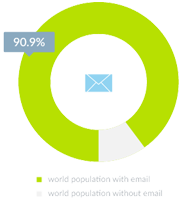 What do the statistics show on Email Marketing? As one of the oldest platforms of digital marketing, email marketing has provided continual proven success. 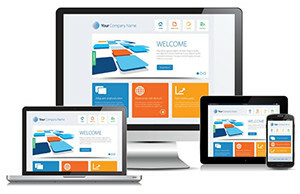 82% of companies worldwide are using email marketing strategies as part of their marketing campaigns. In comparison to social media and direct mail marketing, email marketing has a 66% higher conversion rate and is 40 times more likely to develop stronger leads. On average, email marketing has a 3800% Return-On-Investment and increases when advertisements are targeted. What's included in the Klutech Email Blast Marketing Program? Unlimited Subscribers, Unlimited Lists. Create as many lists (or groups) as you need. Detailed Blast Reports. Know how many emails were sent, how many were bounced back (user doesn't exist, mailbox full, domain doesn't exist, etc), how many emails were opened/read, and how many subscribers click on links in the email (and how many times). Klutech charges $300.00 per month for Email Blast Marketing, or check out our Klutech Program which includes Email Blast Marketing Services and much, much, more.